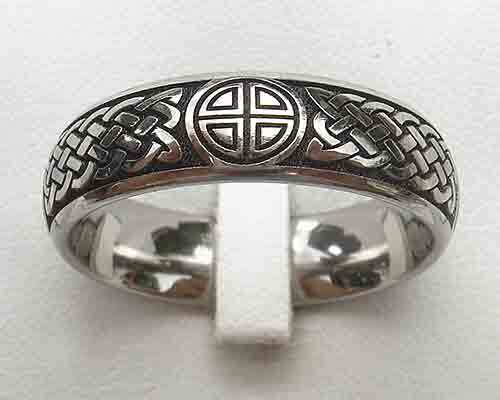 Celtic Weave Knot Titanium Ring : LOVE2HAVE in the UK! 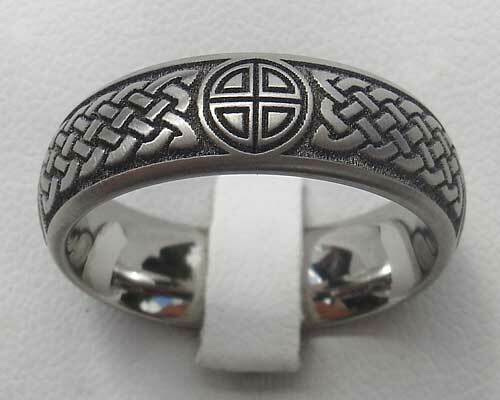 Our Celtic titanium rings tend to feature a Celtic knot design or a repeated symbol. This one, however, features a combination of both. As pictured the symbol is a Celtic cross in a circle created into a very modern styling. This symbol is engraved four times around the ring at quarter amounts. Sitting between the circles are Celtic weave patterns that are very tight in design style - something that only a laser engraving technique can achieve. 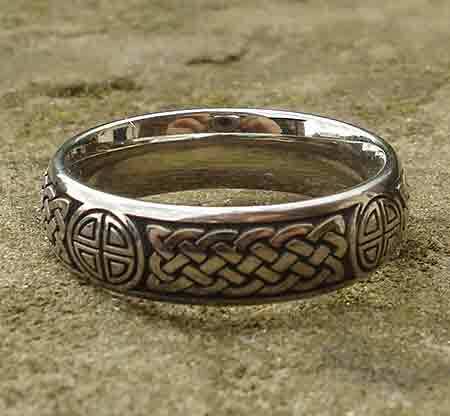 We love this ring for its detailed Celtic design, and it sits superbly on the domed profile surface.